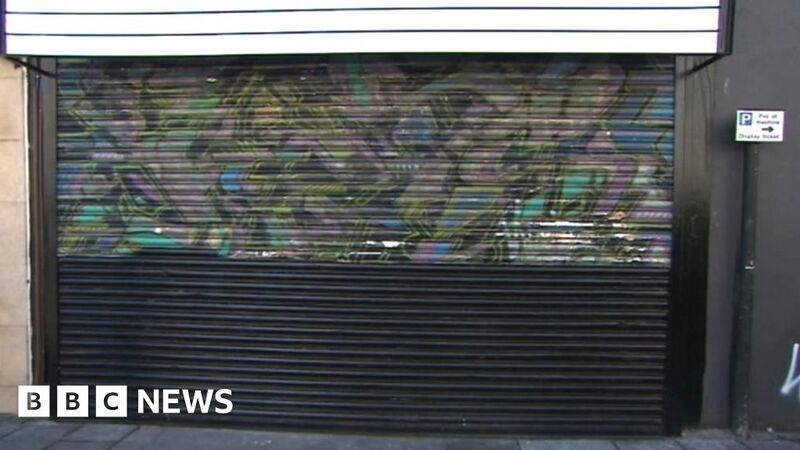 The artwork was painted on the shutters of a skate shop in Bristol’s Park Row in the 1990s. New owner Jo Xie is opening a teashop on the site, and started work to clean up the shutters. The chipped and faded artwork was recognised by Banksy aficionado Simon Whiteway. “I walked by and saw a painter going over the mural; I had to explain to him what it was and he was shocked. “The shop was a skate shop called Rollermania for a long time, and Banksy knew its owner Tony Coffey. The work was done long before Banksy’s stencil artworks became internationally recognised. Jo Xie and her business partner are inviting local street artists to come up with new ideas for the bottom half of the shutters.